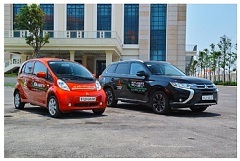 TOKYO, Apr, 16 2018 - (JCN Newswire) - Mitsubishi Motors Corporation (MMC) has announced today the conclusion of a Memorandum of Understanding (MOU) with the Department of Industry and Trade People's Committee of Da Nang City (DOIT) and celebrated the handover of a series of new electric vehicles (EVs) in the City of Da Nang, Vietnam. Today's event follows the conclusion in January of an MOU through which Mitsubishi Motors and the Vietnamese Ministry of Industry and Trade committed to explore how best to promote the use of EVs in the country. In a ceremony taking place today, Mitsubishi Motors will provide two i-MiEV pure EVs, together with a further two Outlander PHEV plug-in hybrid EVs and two quick battery charger units to DOIT. These vehicles will enable Mitsubishi Motors and the DOIT to study how EVs can reduce CO2 emissions and utilize popular sightseeing locations, specifically around Da Nang City and the Hoi An World Heritage site. Vietnam is seeking ways to reduce CO2 emissions and to produce cleaner air and greener cities. Da Nang City launched an Environment City Plan in 2008, with the aim of transforming itself into an Environmental City by 2020. Today's ceremony marks an important milestone in Da Nang City's efforts to achieve the ambitious goals set out in the Environment City Plan, specifically the goal of tackling air pollution caused by transportation. 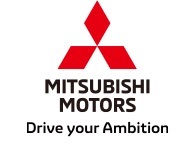 Mitsubishi Motors, a global leader in plug-in hybrid EVs, continues to work to expand the use of EVs across the ASEAN region. Mitsubishi Motors has over 150,000 electric and plug-in hybrid EVs on the road today (of which 144,000+ are Outlander PHEVs), and its continued investments in PHEV and EV technologies mean this number is set to increase. Since it first entered the Vietnamese market in 1994, Mitsubishi Motors has been committed to the development of the domestic auto market, and this new partnership with Da Nang City reflects its support for Vietnam's transition to a mature, low carbon economy.